Reuben Goude recently received advanced level training, from the American Association of Premier DUI Attorneys, on how to use fatigue and drowsiness to fight DUI cases. Reuben received training on the how drivers arrested and prosecuted for being under the influence of alcohol and/or CNS Depressants can easily be misdiagnosed and wrongfully arrested for DUI when they were simply fatigued or drowsy at the time of the incident. The information in this training was provided by Adam Pollack. Mr. Pollack is an AAPDA Executive Member of the Association. Mr. Pollack’s office is located in Orlando, FL and his website is http://orl-law.com/. Attorney Reuben Goude is a native of South Carolina. Reuben lives near his ancestral home outside Georgetown, SC; two dogs, Mac and Chief; three horses, Blaze, Sage, and Whitey; and one cat, Only. He is the proud father of two daughters, Jennifer and Leah. Reuben graduated from the University of South Carolina Law School, in Columbia, South Carolina. After high school, he enlisted in the United States Marine Corps. He served four years in the USMC in the United States and in the Western Pacific. After college and law school, he served four years as a lawyer in the United States Air Force as a Captain in the Judge Advocate General department. Reuben has served as prosecutor, defense counsel, claims officer, and legal services officer. In the USAF, he served in the United States and in the Middle East. Reuben has been in private practice since 1984 and has represented about 6,000 criminal defense clients. 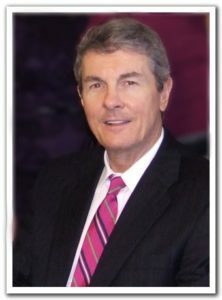 He has represented many clients charged with DUIs. Reuben has 3 bilingual (Spanish/English) and 3 English speaking staff members that work for his office. Reuben is a member of Rotary and is an active member of Mt. Zion Baptist Church.